Tis the season for connecting with friends and family, holiday lunches and parties, and this past weekend was all about supporting our local artists. 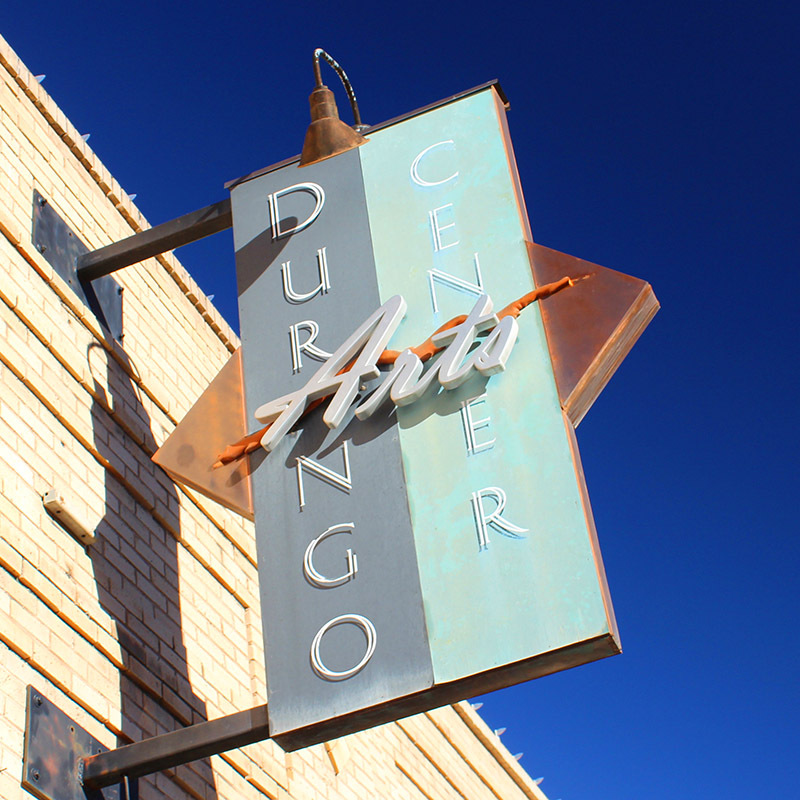 We’re lucky here in Durango that we live in a double-hub of artists, with Mancos and their Creative District only a short 30 minutes away. 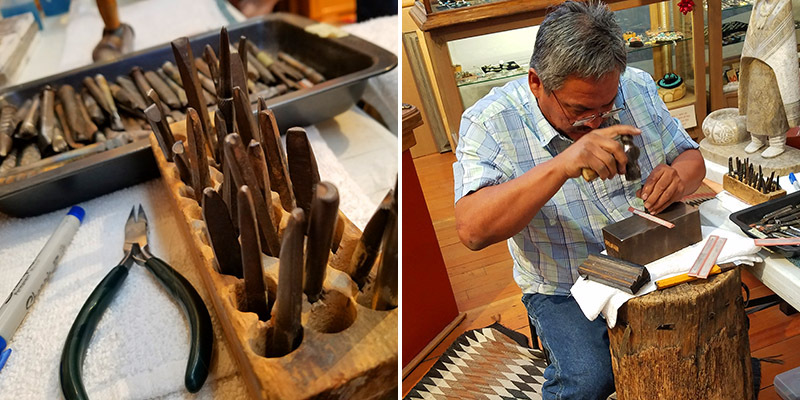 For more info on Randy and his wife Sylvana Apache’s works, along with updates on Toh Atin demos and events, including personal stories about the artists and their inspiration, join their newsletter here, and scroll down to the bottom of their home page to join. 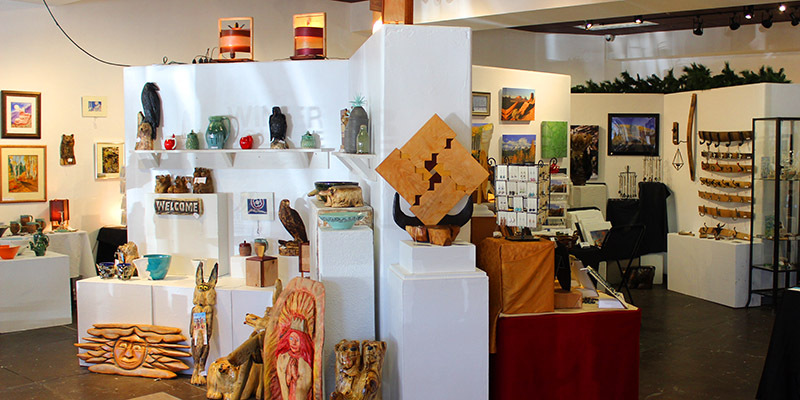 Next we were off to the Durango Art’s Center for the Winter Solstice Artisan’s Market … something we look forward to every December with over 40 regional artists exhibiting and selling their one-of-a-kind works. This year they will remain open for holiday shopping until December 23rd, 2017. 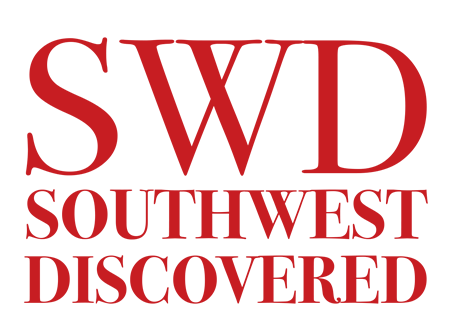 If you’d like updates on current and upcoming exhibits, check out their home page. 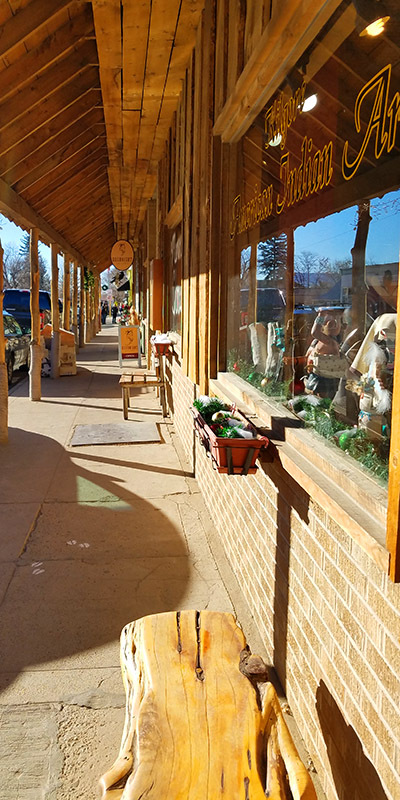 Then we traveled over to The Gateway To Mesa Verde — Mancos for their first annual Winter Holiday Arts Market with gallery hopping, pop-up exhibits and an art opening. First stop, Hello Zark’s graphic design studio was transformed into a Renegade pop-up group show of local artists. 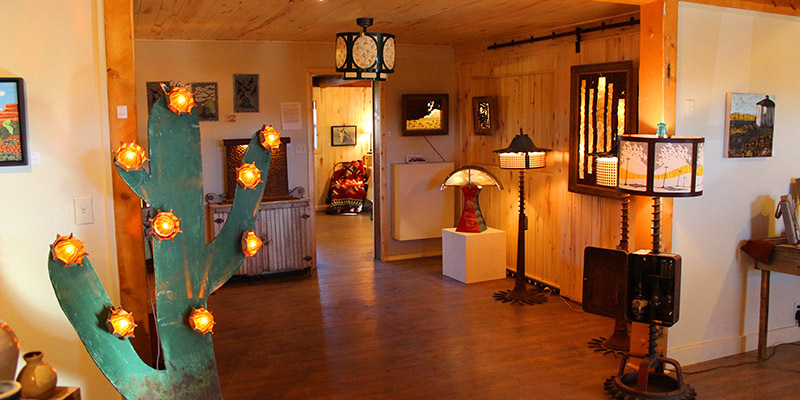 The place was aglow with Rosie Carter and David Butler’s Rural Electric Underground illuminated art pieces and lamps. Highly textured encaustic by Carole Mehesy. 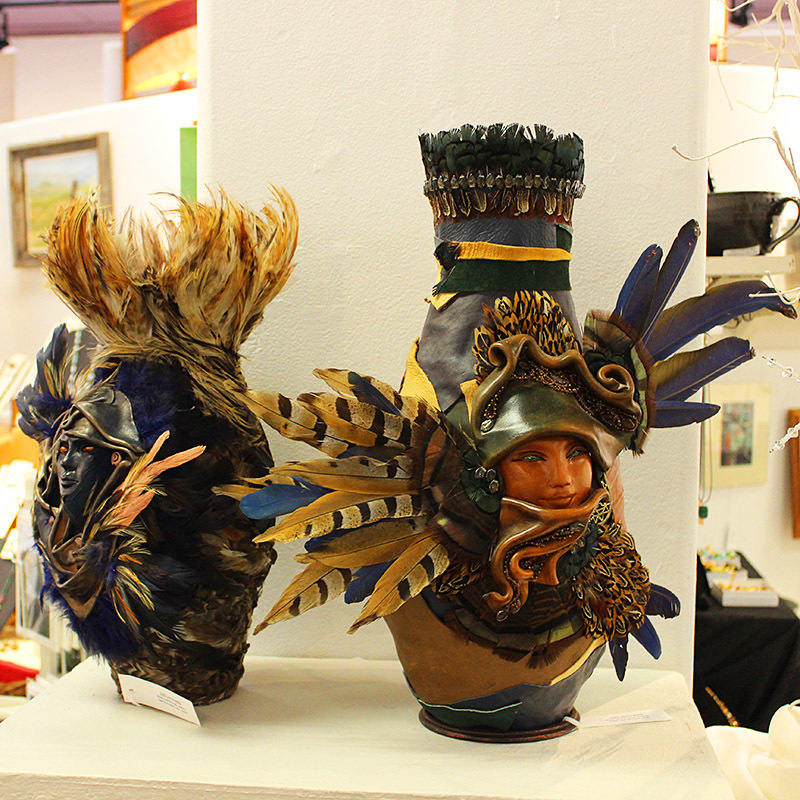 There was also a great showing of pottery, more paintings and finely crafted art forms. 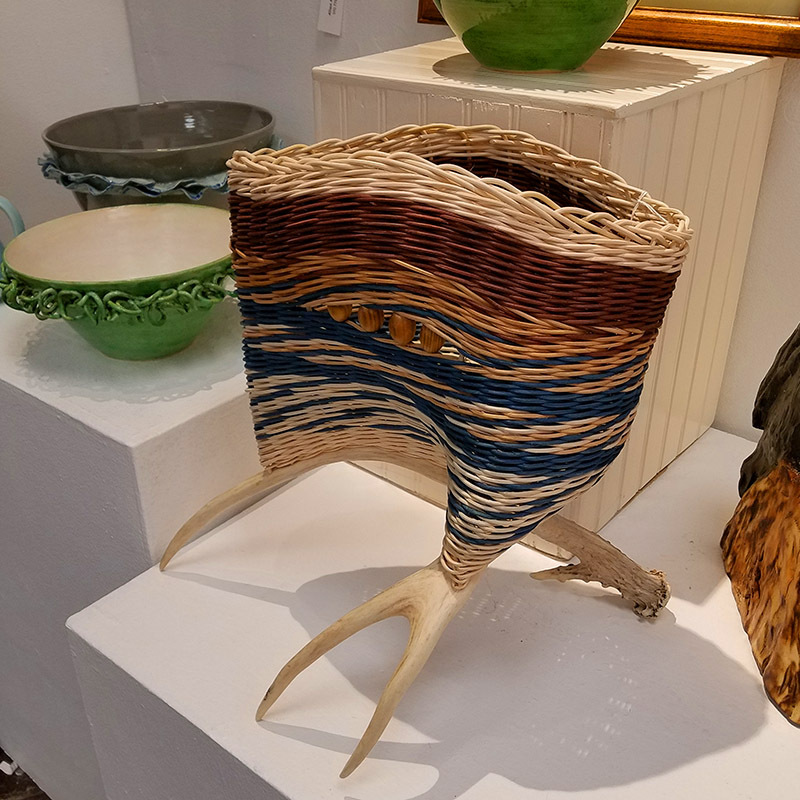 For more information about the artists and pop-up shows to come, you can contact the Mancos Creative District. 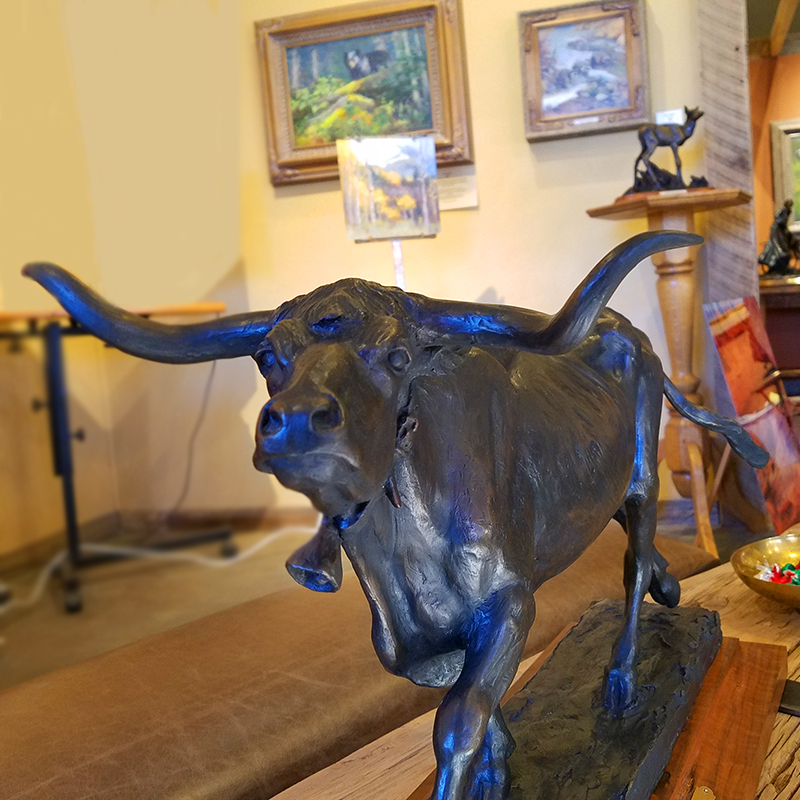 the Veryl Goodnight Gallery of fine paintings and bronze sculpture of the west. 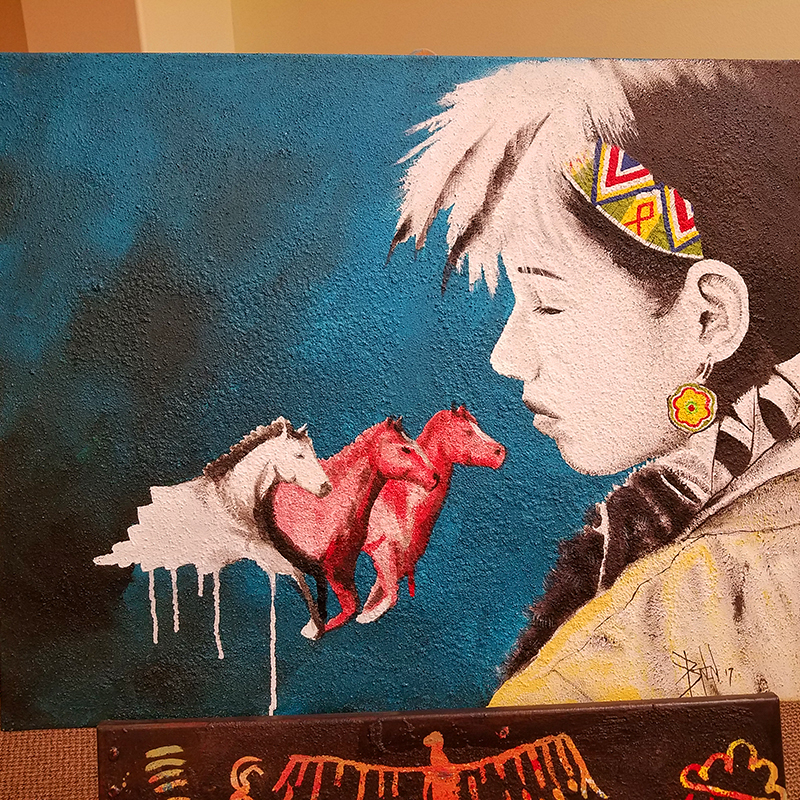 We met a new artist named Benton Yazzie who paints on sand textured canvas, along with twenty or more artists showing work at the Community Center, and the vendors of excellent homemade fudge that really set the holiday tone. 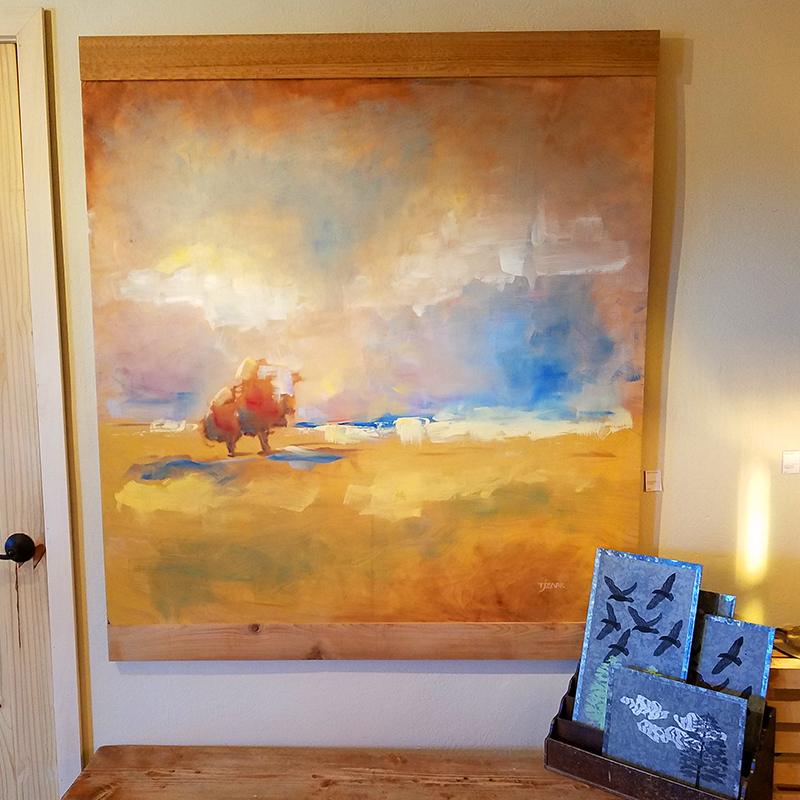 Another pop-up gallery at the local real estate Colorado Ranch and Realty was showing a group of fine art, beautifully crafted leather jackets, paintings of the local region, nature and landscapes, wool and knitted scarves and fine wood furniture. 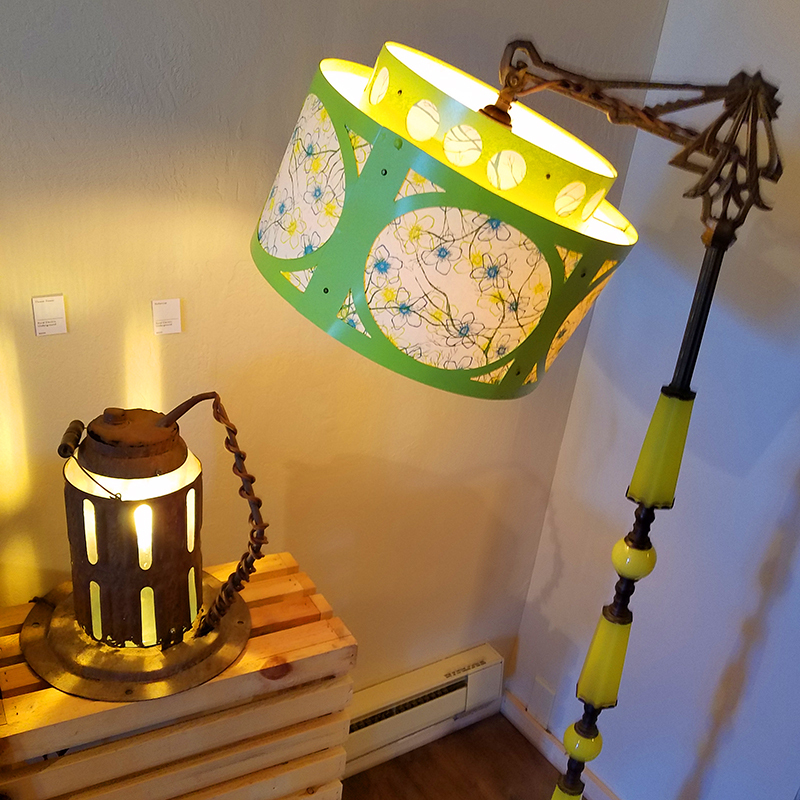 The Beehive Boutique and Spa was exhibiting local artists as well. 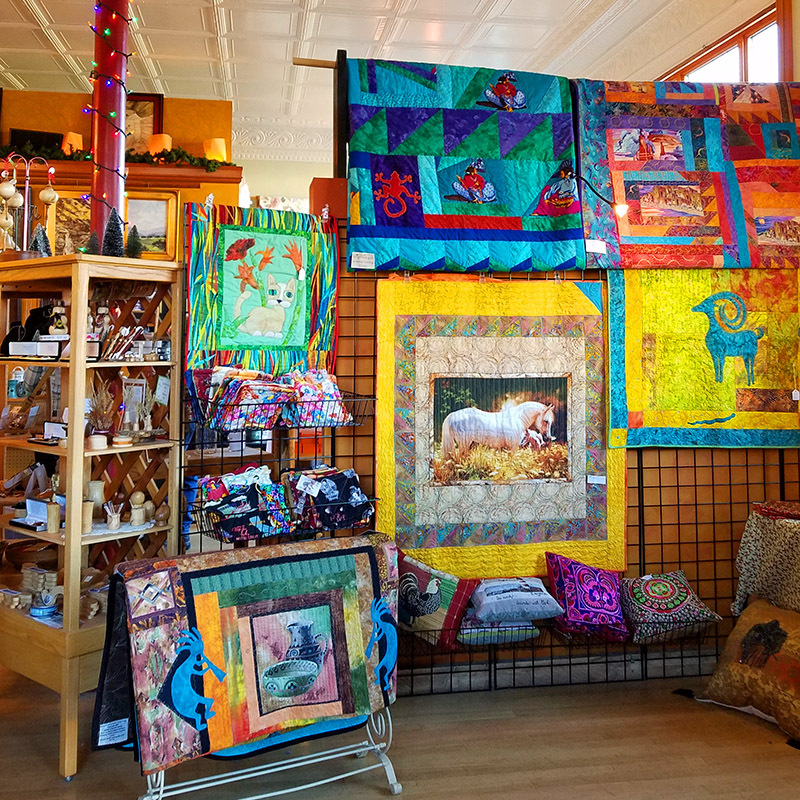 Artisans of Mancos is open year round. 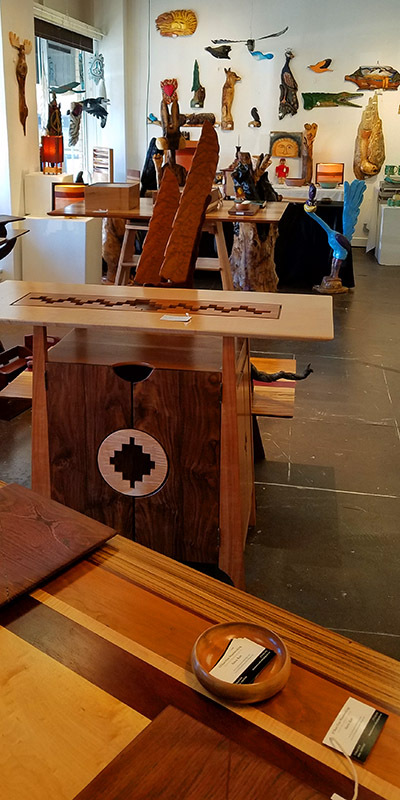 An artist-run co-op, they have new works coming in weekly of woodworking, quilts, painting, jewelry, stained glass … it’s a treasure trove of artful creations. You are always sure to find that perfect gift for a special person, and for yourself! Our final stop was at one of our very favorite restaurants in the Southwest, Olio. 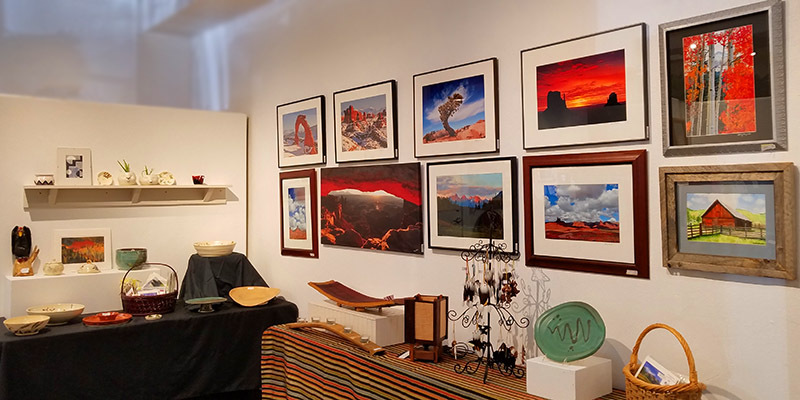 Chef Blankenship had invited another Creative District art show, and this was a solo exhibit of Dale Latta paintings (also on display was pottery by master ceramist, Nick Blaisdell). 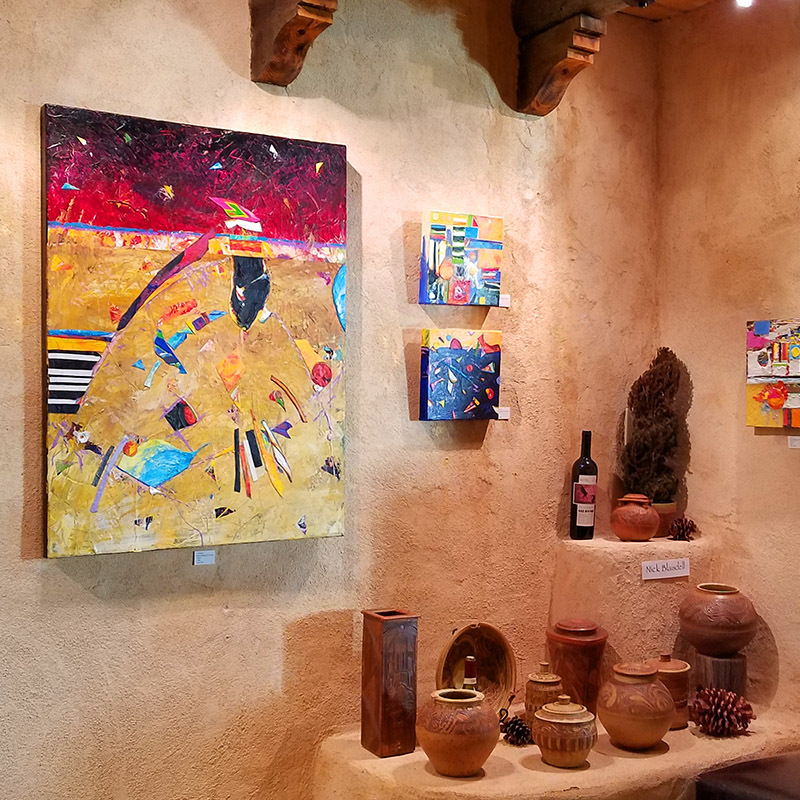 The brilliant multimedia collage works adorned the adobe walls, and will remain on display through February 3rd of 2018. 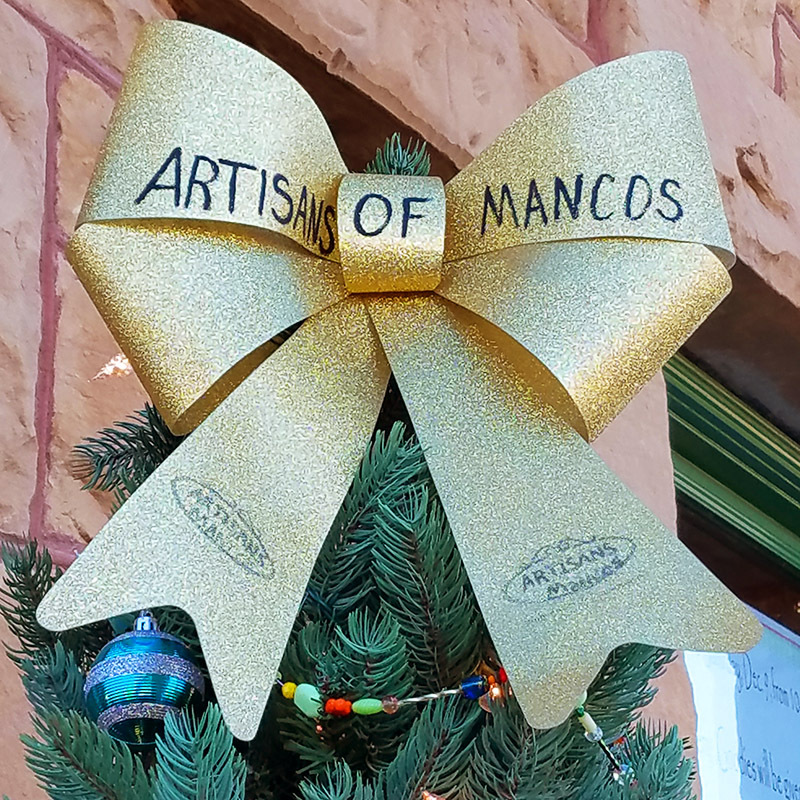 We didn’t make it to all of the venues in Mancos, and we just know this new holiday arts market is going to grow and get better with every year. 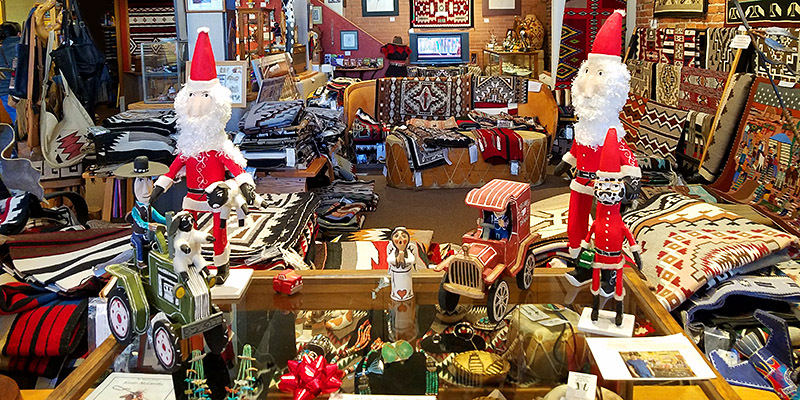 Also, downtown Durango is a mecca of galleries and a must-do stroll for holiday shopping. 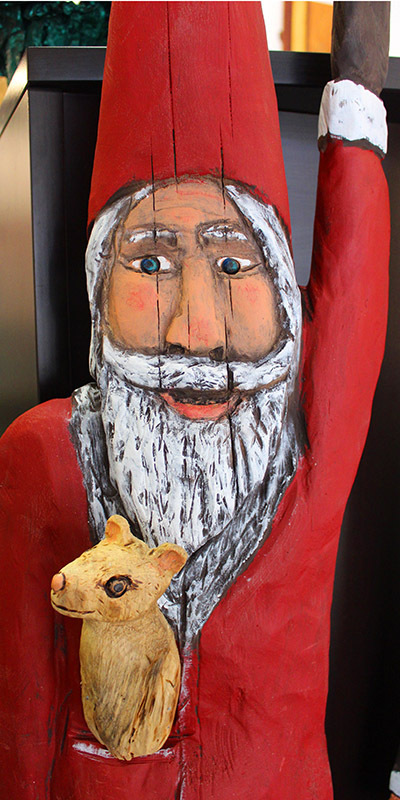 We wish you a very Merry Christmas, Happy Holidays, and many joyous discoveries! What a treasure trove you present for those close enough to explore your suggestions but also a feast for the eyes to those far removed — thank you! 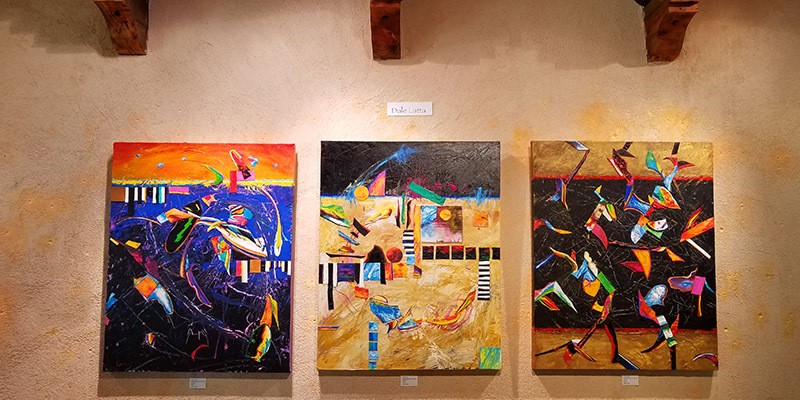 MS. M, Durango and Mancos have a wonderful variety of galleries and now with these pop up galleries … it’s always huge fun to see what’s exhibiting next. Thanks so much for your comment. These are wonderful photos and examples of the superb art available. Thanks for sharing them. 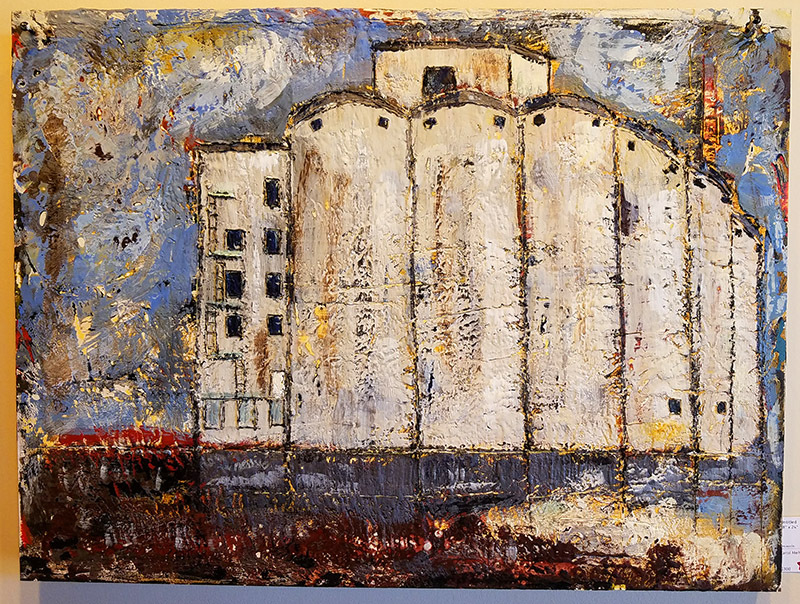 Stew, we’re so lucky to live in a beautiful area with artists who are inspired by their surroundings, and such talent! R, thanks for the comment … we’re always looking for details to share. The creativity in your area is mind blowing. Jazzamaz, we could not agree more. Crazy how much talent is in this region. Talk about checking off your Christmas list in one day. Great photos! Thanks! 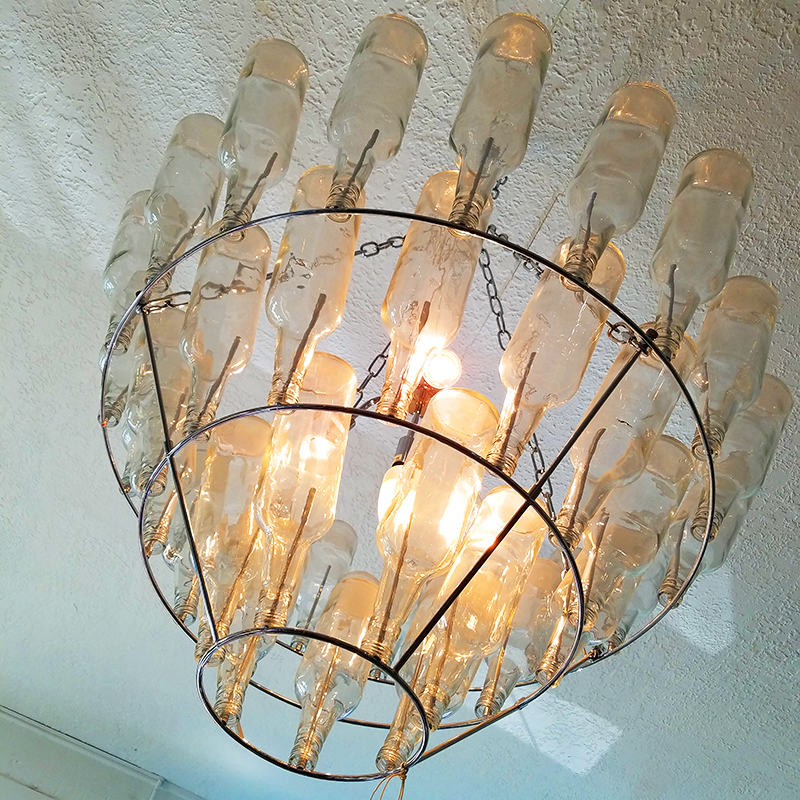 Ally, living in an arts hub with another only 30 minutes away … we’re never at a loss for gift finds. So lucky. So important to support local artists and this time of year is when they depend on sales more than ever. Always special to give and receive something handmade and one of a kind. Very nice post!